It was an extremely busy day down on the docks with several boats arriving for the upcoming 31st Annual Tuna Tournament, as well as several of our charter boats venturing out to find just exactly where the tuna are located! Fishing in the Washington Canyon today was the “No Quarter” catching 5 yellowfin and 10 dolphin, as well as the “C Boys” who caught 5 yellowfin and released 2 white marlin. Venturing out to the Baltimore Canyon was the “Osprey” catching 7 yellowfin. The “Reel Choas” had a great day alone in the Hot Dog releasing 1 white marlin and 1 blue marlin. The “Boss Hogg” went to the Jackspot catching 8 yellowfin and releasing 1 white marlin. Lastly, the “Marli” had a fantastic day catching there limit of 18 yellowfin, 2 dolphin, and also released 1 blue marlin fishing in the Poor Mans Canyon. The 31st Annual Ocean City Tuna Tournament kicks off tomorrow at the Ocean City Fishing Center! On Friday and Saturday, the weigh ins begin at 4 pm and are open until 8:30pm. On Sunday, the weigh ins begin at 4pm and end at 7pm. When it comes to weighing your stringer Sunset Marina is also an available weigh station, but is only available on Friday and Saturday night!! We look forward to seeing you down on the docks! The mood on the dock was both anticipation and excitement as we had a good bit of our regular boats out fishing with a few Tournament boat arrivals mixed in! The fishing action did not disappoint and it looks like it is gearing up to be a great few days out on the water! The crew of the Espadon was the only boat to fish in the Jackspot today and returned with 15 dolphin and 1 white marlin release. All of our other boats today fished out of the Washington Canyon. Both the Bar South and the Max Bet released two whites and the Max Bet also returned with 15 dolphin and 1 yellowfin. The crew of No Quarter caught 6 yellowfin and had 29 dolphin, one weighing in at 32 lbs! The rest of our crews had a nice even mix of yellowfin, dolphin and marlin releases. Pumpin Hard had 9 yellowfin, 4 dolphin, and a white release, while the Tighten Up had 5 yellowfin, 1 dolphin, and a white release. The Marli caught 4 yellowfin, 4 dolphin, and released a blue marlin! Finally the Boss Hogg had 5 yellowfin and 37 dolphin. Don’t forget that tomorrow is registration for the Ocean City Tuna Tournament at the Ocean City Fishing Center from 3:00-8:00 pm with Captain’s meeting to follow and we hope to see you there! It’s been a quiet couple of days at the docks, with Tropical Storm Chris keeping the offshore forecast unfishable over last weekend. That all changed today, with the crew’s eager to get offshore and find the fish before the Ocean City Tuna Tournament kicks off this Friday. The fleet returned with full fish-boxes, catching everything from Tuna to Dolphin to the prodigal White Marlin. In the Baltimore Canyons was the ‘Rhonda’s Osprey’ with 13 Yellowfin, 3 Dolphin, and white release); and ‘No Quarter’ with 5 Yellowfin, 6 Dolphin, and 1 white release. The ‘Pumpin Hard’ (15 Yellowfin, 2 Dolphin, and 2 White Releases), ‘C-Boys’ (13 Yellowfin, 41 Dolphin), and ‘Boss Hogg’ (7 Yellowfin and 13 Dolphin) fished the Washington Canyons. The ‘Marli’ trekked over to the Poor Mans where they caught 5 Yellowfin, 5 Dolphin, and 2 White releases. With rocky weather offshore, most of the fleet decided to stay at the docks for the start of their weekend. That didn’t stop the entire fleet, however, with five boats coming back with fairly decent catches. The ‘Reel Toy’ (2 White releases), ‘Reel Chaos’ (6 Dolphin), and ‘Max Bet’ (1 White release and 1 Blue release) fished the Washington Canyon. The ‘Marli’ ventured to the Poor Mans, returning with 4 Dolphin. In the Jackspot was the ‘Espadon’, who released a whopping 3 White marlin and 10 Dolphin. Rough weather is expected throughout the weekend, so don’t expect any major catches to arise over the next couple days. The Ocean City Tuna Tournament is fast approaching, coming up next weekend with a huge payout to a few lucky anglers. If you havent registered yet, head on over to www.octunatournament.com for more details. HOT! HOT! HOT! Although this is an accurate way to describe the weather right now, it could also be said for the fishing out of Sunset Marina! We had a “boat” load of people fishing today, all bringing back an overabundance of fish! The Washington Canyon seemed to be the hot spot of the day for many of our boats including the Cabana (2 white releases, 1 blue release, 5 yellowfin, and 1 dolphin), No Quarter (1 white release, 1 Bigeye tuna, 2 yellowfins, and 1 dolphin), C-Boys (3 white releases and 10 dolphin), Brenda Lou (2 white releases and 12 dolphin), Poore Sport (3 white releases and 5 dolphin) and finally the Tighten up with an incredible day (9 white releases and 6 dolphin)!! Fishing the Baltimore Canyon today and back first to the docks was the Osprey with an extremely impressive catch of 4 Bigeye tuna (111 lbs, 109 lbs, 100 lbs, and 98 lbs) with almost all weighing over 100 lbs!! Venturing alone to the Poor Man’s Canyon was the Marli, catching 1 yellowfin, 2 dolphin, and also releasing a bluefin weighing over 400 lbs and measured 89 inches long, which is extremely impressive!! Lastly, the Buckshot ventured to the Norfolk Canyon today and had 1 white marlin release. The white marlin bite is slowly, but surely picking up so be sure to come down and check out all the action happening down here on the docks!! Happy Fourth of July!!! The marina was a buzz of activity today as many chose to celebrate the holiday with us by enjoying the amenities as well as the action down on the dock. Many of our boats ventured out today to see what they could find and they were not disappointed. The Washington was the main hot spot today with most of the fleet fishing there. The first back to the dock was the Cabana who returned with 5 yellowfin and a white marlin release. Fish On was shortly behind them and also had a white marlin release as well as 10 dolphin. Whisky Kilo caught 19 dolphin and had two white release, while the crew of the No Quarter had 11 dolphin and 1 yellowfin. Our last boat to fish the Washington was the crew of the Tighten Up returning with a blue marlin release, 2 white releases and 12 dolphin. The Osprey and the Boss Hogg chose to fish at the Baltimore Canyon today. The Osprey had 6 yellowfin and 2 dolphin and the Boss Hogg caught 1 yellowfin, 1 dolphin, and they had a white marlin release. Our only boat to fish the Poor Mans today was the crew of the Marli, returning with 5 yellowfin and 3 dolphin. What better way to spend your holiday weekend then booking the charter of a lifetime. There is still time give us a call at 410-213-9600! Today was a busy day on the docks, between flat calm seas, the holiday weekend, and the marlin bite being back on a few boats in the fleet decided to head east to the canyons. The Osprey returned early with 3 yellowfin, 8 dolphin, and 1 white release in the Poormans. While the Whiskey Kilo heeded results in the Wilmington, catching 4 yellowfin and releasing 1 blue marlin. The Fish On reported 3 dolphin and 1 white release in the Washington. While the Buckshot got into 3 white marlin and a whopping 17 dolphin also in the Washington. Have a safe and happy 4th of July tomorrow- tight lines! It was a beautiful, but somewhat quite day here at Sunset Marina. To start off the week we had 2 of our charter boats venture out in search of the elusive yellowfin tuna. Traveling to the Washington Canyon today was the “Reel Chaos” catching 5 very decent sized yellowfin and 1 dolphin. The “Marli” headed out to the Poorman’s Canyon bringing back 8 yellowfin. Also fishing in the Poorman’s was the “Boss Hogg” bringing back 9 yellowfin to the docks. With the weather and fishing heating up its only a matter of time until our fleet ventures out again, so stay tuned!! Happy July, folks! We are happy to ring in the new month with news of awesome fishing all across the board. While the tuna’s have slacked off from the epic bite we saw previously, the marlin bite makes up for it as numbers increase each day. The ‘Rhonda’s Osprey’ fished the Norfolk, throwing 4 Dolphin on the docks. The rest of the fleet fished the Washington, including the ‘Buckshot’ (1 White release and 4 Dolphin), ‘Poor Sport’ (2 White Releases), ‘Marli’ (7 Yellowfin), ‘Reel Chaos’ (2 Dolphin, 1 White Release), ‘Grande Pez’ (3 Dolphin, 1 White Release), and ‘Boss Hogg’ (1 White release). 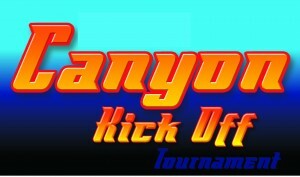 Today also concludes the Canyon Kick-Off, who had record breaking participants and a massive payout to the winners. The Ocean City Tuna tournement, hosted by the Ocean City Fishing Center, is fast approaching and will run from July 13-15. Last years payout topped a massive $785,000, and this year we are hoping to top those numbers! Check out the link HERE to learn more about the tournament and how to register. Day two of the Canyon Kick-Off was intense, with a good chunk of the marina fishing leaving some docks looking like its the White Marlin Open! The ‘Rhonda’s Osprey’ was back before the rest of the fleet with 22 Dolphin and 2 Yellowfin. In the Rock Pile was the ‘Fish Tricks’, who returned with 4 Yellowfin. The Washington was a hot spot for the day, with the ‘Buckshot'(1 White release and 2 Dolphin), and the Brenda Lou (3 White Marlin releases) returning with a happy crew. The ‘Roncito’ fished the Wilmington, releasing three white marlin throughout their day. The ‘Fish On’ chose to fish the Norfolk, releasing a whopping 4 White Marlin and 1 Blue Marlin. The ‘Boss Hogg’ traveled all over today, returning with 3 Dolphin and 2 White releases. Lastly, the ‘Special Situation’ released 1 White Marlin and 1 Blue Marlin, and did not provide a location on where they fished. The third and final day of the Canyon Kick-OFf starts tomorrow, what better time to stop by Sunset Grille, grab a crush, and watch the weigh ins? It’s day one of the Canyon Kickoff, hosted by the Ocean City Marlin Club, and we’ve seen more of the amazing fishing action that we’ve grown so accustomed to throughout 2018! Loads of tuna’s were caught marina-wide with plenty of marlin releases mixed it. In the Baltimore Canyons was the ‘Rhonda’s Osprey’, returning with 2 Yellowfin, 1 Dolphin, and releasing 2 White Marlin. The ‘Tighten Up’ fished the Washington, and brought 2 Yellowfin and 5 Dolphin to the docks, releasing 1 White Marlin. The ‘Reel Chaos’ fished the Rock Pile, catching 8 nice Yellowfin from their day on the water. The ‘Fish On’ caught and released 2 White Marlin from the 800 Square. The rest of the fleet could have been found in the Poor Man’s, with the ‘C-Boys’ (6 Yellowfin, 1 Dolphin, 1 White release, and 1 Blue release), ‘Marli’ (8 Yellowfin, 1 Dolphin, and 1 White release), ‘Boss Hogg’ (6 Yellowfin and 2 White releases), and the ‘Blood Money’ (5 Yellowfins, 3 White releases, and 2 Dolphin, also fishing the Washington) all having great days on the water. Stay tuned through the next couple days as we follow day 2 and 3 of the Canyon Kick-Off, which is sure to bring some excitement to the docks as we advance into the peak season. It was a gorgeous day here at Sunset Marina, as well as offshore, allowing a few of our charter boats to sneak away into the deep. The hot spot today seemed to be the Wilmington Canyon, producing a plethora of yellowfin and dolphin. The Boss Hogg returned back to the dock ahead of the fleet with an impressive 16 yellowfin and 10 dolphin. The Reel Chaos with 6 yellowfin and 8 dolphin and the Marli with 9 yellowfin and 6 dolphin. Venturing away from the fleet was the Espadon, heading out to the Jackspot . 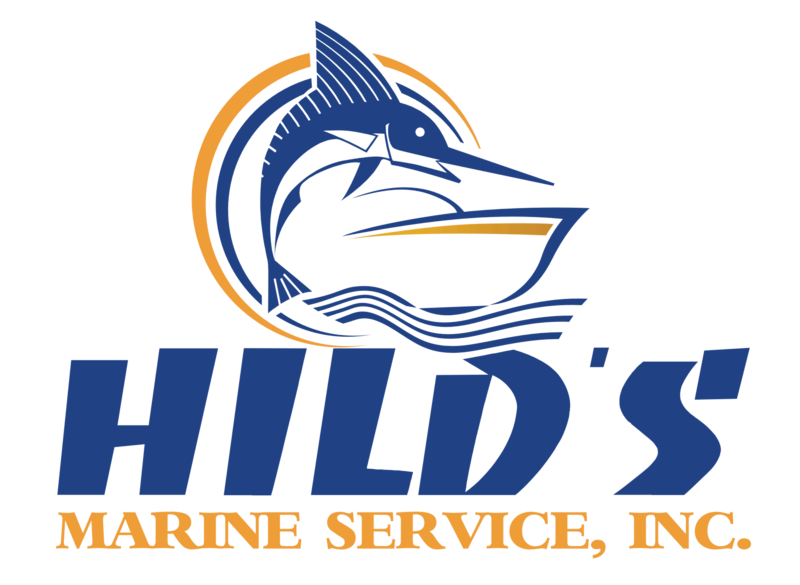 There they were able to catch 3 yellowfin, 2 dolphin, and 1 white marlin release. With the tremendous weather rolling in and the Ocean City Marlin Club’s Canyon Kick Off tournament this weekend you can expect the fish to be biting and the docks to be busy! !